History of Denbigh Male Voice Choir. 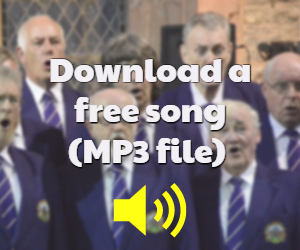 The history of the present Denbigh Male Voice Choir starts in 1988. Gareth Roberts spent many weeks trying to persuade men to form a male voice choir in Denbigh. He succeeded to get Mrs Phyllis Dryhurst-Dodd, recently returned to her home town of Denbigh, to become the Musical Director. Whilst living in Mid Wales, she was the Musical Director of the successful Llanfair Caereinion Male Voice Choir for several years. 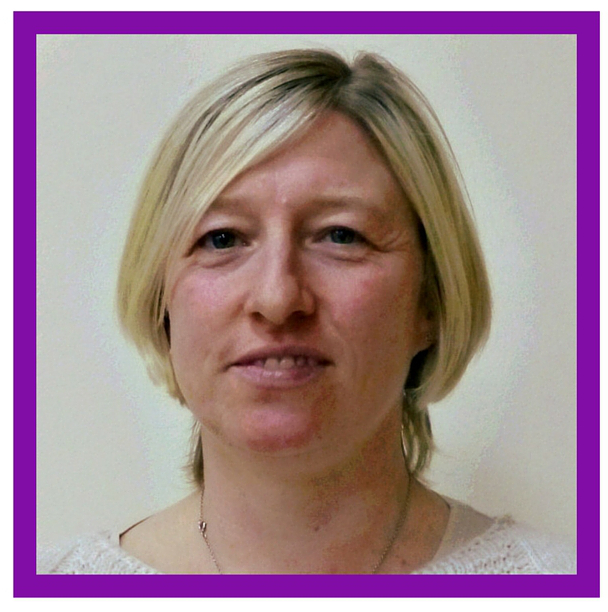 For the first few months the choir accompanist was Julie Howatson. Then, Dorothy Kirk, former Head of Music in a school in Liverpool, was appointed for the next 15 years. 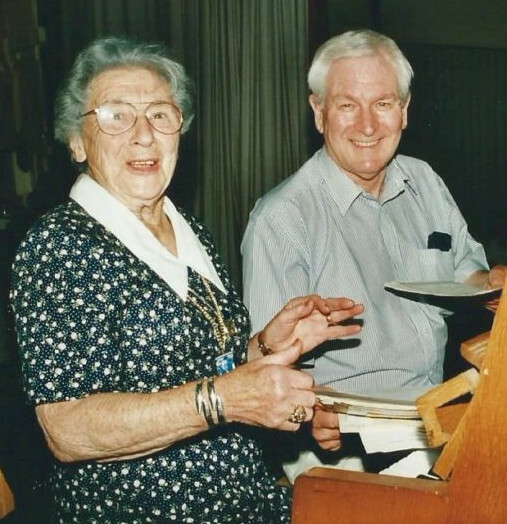 Led by the formidable duo of Phyllis and Dorothy, the choir went from strength to strength. Sadly in 2001 Phyllis passed away. Due to the death of Phyllis Arwyn Roberts took up the baton. A musically talented and very experienced founder member of the choir. Arwyn has sung with several other choirs. He continues to improve and enhance the choir’s performance. Dorothy decided to retire in 2004. She was a hard act to follow. A talented young teacher, Sioned Jones, continued for eighteen months. Then came Ann Edwards. Joyce Davies a retired music teacher, soon became our permanent accompanist. She became a huge asset to the choir. She continued to faithfully give of her services despite moving to live in Oswestry. 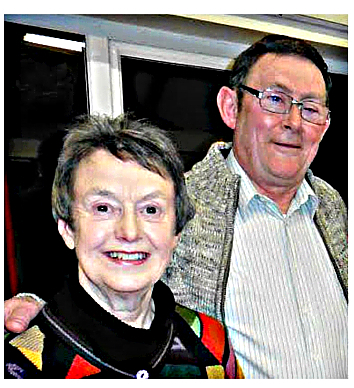 After sterling service and much travelling on behalf of the choir, Joyce decided to retire in March 2016. Nia Jones was appointed as her replacement in March 2016. The choir’s membership fluctuates between 20 and 40. Men who enjoy both the singing and the camaraderie of the choir. Members who have been in other choirs often say that this is their happiest choir experience. The first meeting and practice held in Capel Mawr school room on 10 October 1988 attracted a motley bunch of 17 men. Some were experienced singers. A few with just a little experience. Others were complete novices. The choir is a truly community choir. It has always concentrated on concert engagements. It also supports local charities and organisations. The choir regularly performs for Arthritis Care, Cysgodfa and St Thomas’s Church Sankey Moody evening. Similarly, other annual dates are the Festival of Remembrance at the town’s War Memorial and the inauguration of the town’s Mayor. Several thousands of pounds have been raised for local organisations including St Kentigern’s Hospice. National charities such as the NSPCC, Diabetic Association and Guide dogs for the blind also receive our support. The history of Denbigh Male Voice Choir is not confined to Denbigh. Moreover, it has taken part in the Festival of Massed Choirs at the Royal Albert Hall on four occasions. Outside of Wales it has performed extensively in England. From Cumbria in the north, down to a Methodist Chapel in London. 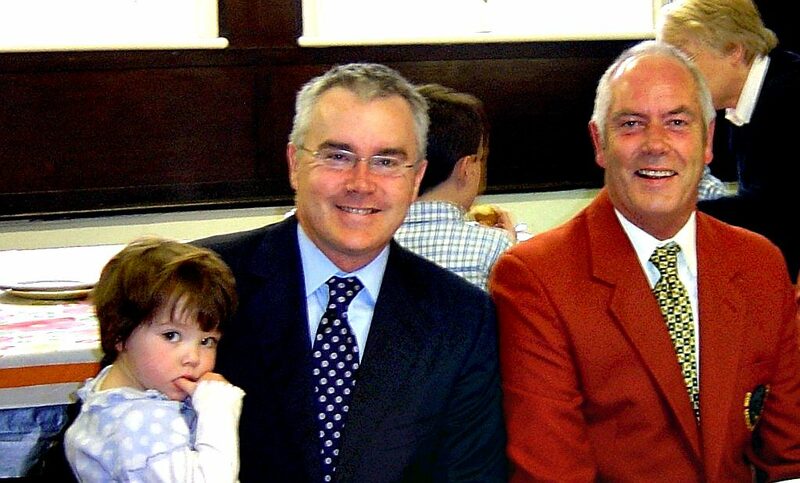 We were accompanied by Huw Edwards, the BBC News presenter. Furthermore, the twinning with Biebertal in Germany started around the same time as the choir. A strong relationship with our German friends persists. Visits to Germany on several occasions as well as entertaining them during their visits to Denbigh. We have also visited Ireland on two occasions. One of which was the Pan-Celtic Festival where we gained second prize. The choir features in an advertising campaign in the USA for tourism to Wales. We also have regular visitors at rehearsal by people from the USA and other world-wide places. One of our greatest claims to fame is that we appeared world wide on BBC television on Millennium Eve. Singing Dylan Thomas’s Evening Prayer live by the River Elwy in St Asaph on the Millenium Eve. In conclusion, we never claim to be the best choir in North Wales. Most of all, we pride ourselves in our ability to entertain. And to spread the culture of Male choral singing far and wide.